A statement from Ministry of Finance and Mass Media said that Minister of Finance and Mass Media has appointed Mr. Ranel Tissa Wijesinha as the Chairman of Securities and Exchange and Commission (SEC) of Sri Lanka with effect from today (24th May 2018). 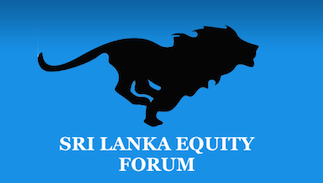 The statement further added that Securities and Commission of Sri Lanka's (SEC) new members appointed to the Board include Chandrakumar Ramachandra, Jayantha Fernando, Arjuna Herath, Rajeev Amarasuriya and Manjula Hiranya de Silva. Guys did you see the market behaviour pattern today (22nd Jan 2015) . It was a V shaped graph. Why ? Market was sliding down until Derana Biz anounced around noon that Tilak has not yet got the appointment letter and Dr Nalaka is still the chairman. Market started going up and ended green. Shows the real sentiments of the market. But yahapalane will go ahead with confirm Tilaks appointment Tilak this week. It is a political promise to look after him after election. Public openion doesnt matter. Good bye Dr Nalaka. We will miss you. You did your best. Sunday times Business Editor Feizal Samath and Tilak Karunaratne won. We lost. Hisaradayata kottaya maaru kala wage. Like all the problems this government is not addressing the real issues. » Somaratna Dissanayake New Rupavahini Chairman?